I haven’t been baking new recipes lately because I’m experimenting of making bread now. Kneading the dough to correct texture and testing out the freshness of the yeast whether they are active or dead. They are totally different experiences from baking cakes. Haha! I was at the fruit stall on Sunday and saw many mangoes. The fruiterer told me it is mango season now and what came into my mind immediately was my favourite Thai dessert! 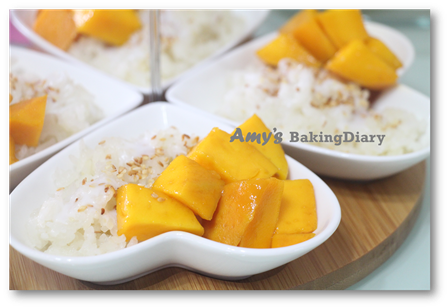 Coincidentally, the theme for Nov Thumbs Up is Mango so I decided I should try making my own mango glutinous rice. This is not difficult to make at all. I adapted the recipe from Rasa Malaysia but I tweaked the method a bit. This is such a simple recipe and it’s so delicious! The sticky warm, sweet and slightly salty rice, drenched in coconut milk and eat them spoonful by spoonful with the mango. Wow! It is so very scrumptious. I decided I should use this beautiful Clover Condiment Bowls to serve my mango glutinous rice to my husband and sons. Thanks Karen (Luvswesavory) for this beautiful Clover Condiment Bowls that was given to all of us during our last meet-up. It was my pleasure meeting you in person! 2-3 Pandan (screwpine) leaves. Tied into a knot. (1)Soak the glutinous rice for at least 8 hours or overnight. (2)Wash and drain the glutinous rice. Pour 100ml coconut milk and 100ml water into the glutinous rice. Steam the glutinous rice for about 20-25 minutes or until it is smooth and sticky. 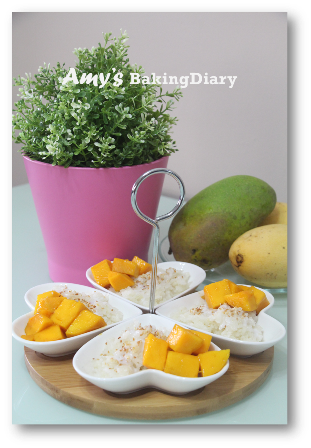 (3)While the glutinous rice is cooking, cut the mangoes into small cubes and chill in the refrigerator until use. (4)In a sauce pan, heat up the balance coconut milk over low heat. Add in the salt and sugar. Keep stirring until sugar is dissolved. (5)Place the glutinous rice on a serving plate. Pour the heated coconut milk over the glutinous rice. Sprinkled the toasted sesame seeds over it and served with the cut mangoes. Yummy-licious! Made me feel like grabbing a bowl too ... hee .. hee! I can recognize these serving bowls!!! They are from Karen! They look awesome with your lovely mango dessert. 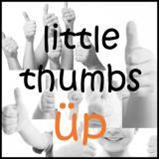 Wish you best of luck experimenting with yeast! it's mango season again..I love mangoes especially those nearly ripe ones..
very nice presentation with those heart shape serving bowls..extra tastier.